4th of July is just around the corner! We’ve rounded up where you can take the family in Florida’s First Coast to view fireworks and enjoy 4th of July festivities. Some of the events will take place before or after July 4. Many of the events also include fun activities, such as concerts, movies, food, and other entertainment. As always, check each link for the full details and for any updated changes. The Jacksonville Landing is putting on a fireworks show on June 24, along with music entertainment from 5 pm-12 am. 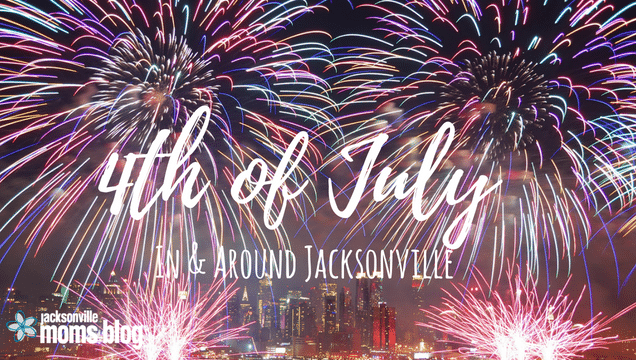 Join The Jacksonville Landing and 99.9 Gator Country for the Landing lights up summer with fireworks and the best bands around! The fireworks will start at 10:00 pm. The Landing Lights Up June! The Jacksonville Landing will light up this summer with fireworks and the best bands around! Bring your friends and family for a night filled with music, drinks, good food and FIREWORKS! View from the Friendship Fountain, Jacksonville Landing, Coastline Drive, the Northbank Riverfront, Riverside Arts Market, Unity Plaza & the Southbank Riverfront. Fireworks shot from the Acosta bridge and a barge on the St. Johns River between the Hyatt and Double Tree. Fireworks to start at 9:45 p.m. Music accompanying the fireworks will be provided at the Jacksonville Landing and Riverside Arts Market. On July 3, join the Jumbo Shrimp for one of the largest fireworks displays in the city after the game! Enjoy Springfield’s annual Baseball Game on the Fourth of July. The tradition carries on into 2018, as the Westside and Eastside (of the Springfield Historic District) battle it out on the baseball field for bragging rights, complete with turn-of-the-century old school uniforms, equipment, umpires, announcer, food trucks and fanfare. The City of Jacksonville Beach will be presenting their free annual fireworks show at the Jacksonville Beach Pier at 9:00 pm. Bring beach chairs and blankets to sit on the beach while viewing the show. Celebrate Independence Day and America’s freedom with bang at the Jacksonville Beach Sea Walk Pavilion. 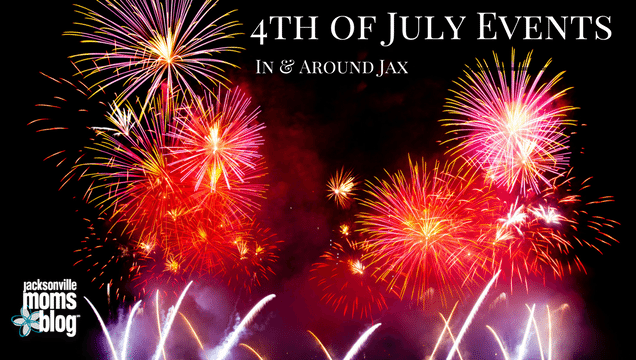 This exciting 4th of July celebration on Jacksonville Beach will feature live music, delicious food and drinks, fireworks, and endless family fun. Come celebrate the 4th of July at Wicked Barley on Wednesday, July 4th- doors open at 8 am and they’re serving BRUNCH all day long! The Celebration 5K is an early morning run/walk that is a great way to start off the holiday and show your American Pride! It features a great course, chip timing, free food, (including lots of watermelon), and fun for the whole family! There is also a one-mile fun run for the kids to enjoy! Pick up an American Flag at the starting line to run with to celebrate Independence Day! Bring the whole family to our 8th annual Freedom Festival and enjoy a day of festivities to honor our military and first responders. 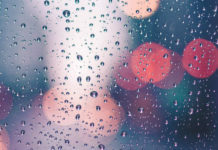 There will be plenty of fun for everyone – from bounce houses, rock wall and games for the young ones, to food trucks and fireworks for the young at heart. Come celebrate America’s birthday with live entertainment, and plenty of family activities including a kid’s zone, food and more! Gates open at 5:00 p.m. with fireworks starting at 9:20 p.m. Kick off your Independence Day festivities with the Middleburg Independence Parade! The annual Independence Day Parade presented by MiddleburgBiz.com will be held in Middleburg at 9:00 am. The line up starts at 7:30 am. The 2018 Theme is “Stars and Stripes 4 Ever.” The parade is viewed from Advanced Auto to Palmetto Street; viewed from Northbound sidewalks only. River and Post will be grilling up all the classics and serving up delicious sides and sweets while you enjoy live music from Barrett Thomas, delicious cocktails from the best bartenders around and a whole lot more fun! Once the sun sets, you’ll be able to view the fireworks as they light up Downtown Jacksonville over the beautiful St. Johns River. Riverside Arts Market is celebrating the Fourth of July under the bridge with live music, locals brews, food, and activities for the whole family! Enjoy live music on the Riverstage from 6:00 – 9:45 p.m. Brent Byrd and the Suitcase Gypsies 8 will be on stage at 6:00 pm and Mama Blue will play at 8:00 pm. The fireworks will be starting at 9:45 p.m. Restaurant Orsay is excited to announce their 9th annual 4th of July Backyard BBQ. Before you head out to see the fireworks, come and spend the day with them enjoying food, fun, & libations, all while supporting a great cause. The event is from 11:00 – 7:00 pm. There will be a waterslide bounce house, face painting, and other activities for the kiddos. Tickets are required to attend. Children under 10 are admitted for free. A family-friendly celebration with contests, vendors, and fireworks. On Monday, July 4th at 8 pm, you can enjoy a special cruise designed for adults offered by Amelia River Cruises & Charters located at 1 North Front Street in Fernandina Beach, FL. This cruise will include music from some of Fernandina Beach’s top musicians and gives you a chance to relax and enjoy incredible fireworks viewing on the Cumberland Sound during the evening of the 4th. Tickets are $28 each and you can purchase them ahead of the event to ensure you get a spot. If you’re bringing family, you’ll have another option for a great relaxing cruise also offered by Amelia River Cruises & Charters. This event offers a great way to see the fireworks with your family while getting a short history of the area. It’s highly recommended to reserve your spot for this one. Celebrate Independence Day one day early at World Golf Village and enjoy a spectacular fireworks show. World Golf Hall of Fame will put on its annual spectacular fireworks display (one of the largest in North Florida) to celebrate Independence Day on Tuesday, July 3, 2018. There will also be a special movie package available for purchase for a showing of Jurassic World: Fallen Kingdom in iMax 3D. “Fireworks Over the Matanzas” is one of the biggest and best fireworks displays on the East Coast, featuring 5,000 individual shells exploding as high as 2,000 feet and as low as 100 feet. A free two-hour concert will precede the fireworks show. The popular local band, The All-Star Orchestra, performs a two-hour show of big band and swing music along with patriotic favorites starting at 6:00 pm. The concert is free and open to the public. Everyone is encouraged to bring lounge chairs for seating. Visitors are welcome to line the streets and sit anywhere along the Bridge of Lions and South Castillo Drive to view the fireworks from downtown. The concert is from 6:00 to 8:00 pm. Fireworks begin at 9:30 pm. Road closures are from 8:30 to 10:30 p.m. The Kiwanis Annual Fourth of July celebration offers hometown charm plus a parade and fireworks over the St. Marys River. 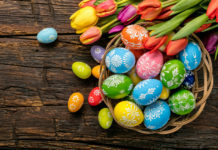 Other activities include a fun run, arts & crafts vendors, entertainment throughout the day and river cruise that offers the best seat in town for the fireworks display. Did we miss one of your favorite events? Let us know in the comments! Previous articleLearn a New Language with Your Family This Summer!